COLORADO SPRINGS, Colo. – After a rain delay that postponed first pitch by over an hour, left-hander Ty Blach took the mound in his home state of Colorado Friday night and pitched 4 quality innings before the defense struggled behind him in the fifth. 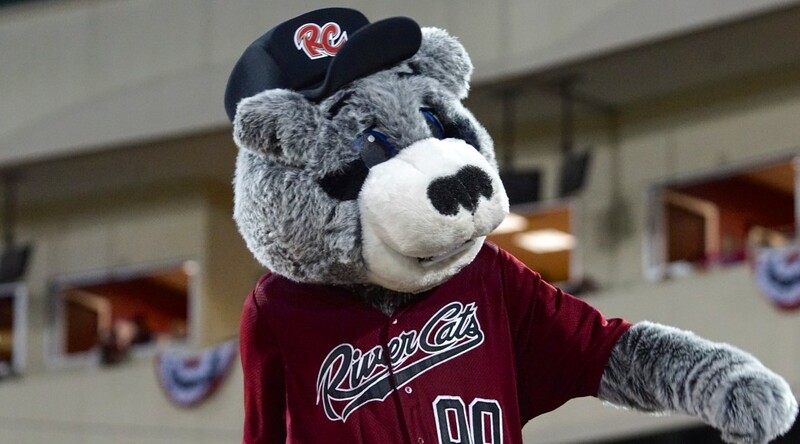 Sacramento River Cats committed three errors in total on the night as they dropped their 10th straight with an 8-3 loss to the Colorado Springs Sky Sox. Once the rain cleared, Sacramento wasted no time getting on the board, as with two out in the first, Jarrett Parker drove in Casey McGehee with an RBI single. McGehee had reached base on a line drive to center, and with smart base running turned it into a double as he advanced to second on the throw. Parker finished the night 2-for-3 with a walk. With those 2 hits, Parker is now just 3 hits shy of 500 for his Minor League Career. Colorado Springs tied things up immediately, as the second pitch Blach threw on the night was hit over the right field wall by Scooter Gennett to tie the game. The Sky Sox applied pressure early with doubles in the first three innings, all with less than 2 outs, but Blach was able to escape each time to keep the score tied. Through the first four, he held the Sky Sox hitless (0-for-8) with runners in scoring position. The Sky Sox finally struck in the fifth, putting up 6 runs on 5 hits, including a 2-run home run by Donnie Murphy. None of the runs in the inning were earned as the River Cats committed 2 errors in the frame, giving them three total on the night. The River Cats got back on the board in the seventh on John Bowker’s two-run home run. The homer was his third of the season and put him at 500 career Minor League RBIs. The Sky Sox countered in the bottom half, tagging Clay Rapada for another run to push the score to 8-3. Blach (4-5, 3.82) finished the night pitching 6 innings, allowing 7 runs (1 earned) on 11 hits, while walking just 1 and striking out 2. He continues to throw strikes and still maintains the league’s best BB/9 (1.03). His counterpart, Tyler Thornburg (1-2, 4.41), lasted 6.1 innings, allowing 3 runs (all earned) on 7 hits, striking out 4. The River Cats will look to end their skid Saturday night as they send right-hander Clayton Blackburn (1-3, 5.07) to the hill. Opposing him for the Sky Sox will be righty Josh Roenicke (2-1, 5.12). First pitch is scheduled for 5:05 p.m. (PT) and can be heard live on rivercats.com and on ESPN 1320.